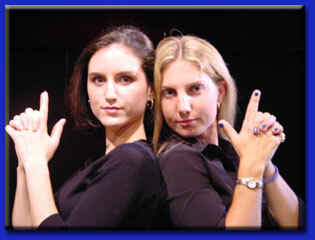 THEY improv provides improv comedy, game shows and murder mystery dinners for entertainment options for a variety of groups to celebrate birthday parties. Whether looking to celebrate with family or fellow employees within a company, THEY have a variety of options to engage the attendees while honoring the celebrant. 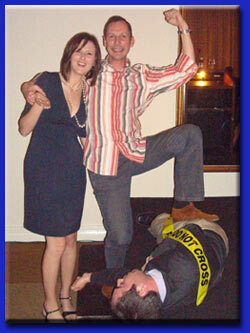 If you don't see an idea you like below, contact us and find the creative ideas that can be unique to your group. 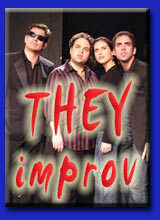 As an improv group, we certainly can come up with brand new programs to entertain your friends and family. Nothing makes private birthday parties more successful than improv comedians. Whether you are having a family get-together or if your gathering includes coworkers, nothing spreads a good time like a show at your gathering with some top improvisational comedians. With family-friendly entertainment and clean comedy ideas and formats that can fit almost any audience or venue, look to us to generate unique ideas for your group. Whether you bring in the celebration of age with a game show, a murder mystery, a comedy show or some other format that we provide, we can discuss your event and find a way to entertain within your budget. 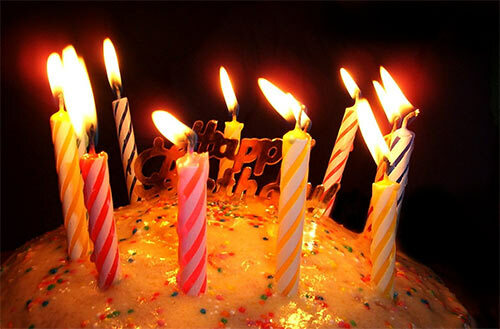 Contact us for your private birthday party entertainment by emailing us today. THEY have earned a reputation for making people laugh under almost any circumstance. THEY can mill about within an event and entertain from within or take the stage and entrance the audience with daring feats of humor made up on the spot. And if the celebration is for someone at your company, THEY have top-notch comedy writers on staff that can come up with topical on-point comedy that are both personalized and can help achieve company goals for your birthday party. These sketches can entertain while even potentially educating to corporate doctrine. In addition to standard shows, THEY improv can also bring an improvised murder mystery to your venue for the celebration. This could be at your house, an apartment, a restaurant, a hotel or practically anywhere you can think of. Contact us today to learn about how THEY can help your private birthday party be a great success. Let us know about the size of your group, where you are located, when you will need us and we can come up with something tailored to you. These are available throughout the country in whatever venue that you like. This includes your home, hotel, restaurant, banquet facility and just about anywhere else you can think of. For more localized information, simply click to view those pages including Albany, Atlanta, Buffalo, Chicago, Cleveland, Connecticut, Delaware, Denver, Detroit, DFW, Fort Worth, Fort Lauderdale, Galveston Bay Area, Houston, Las Vegas, Los Angeles, Maryland, Memphis, Miami, Milwaukee, Minneapolis, New Jersey, New York City, Orlando, Philadelphia, Rapid City, Rochester, San Francisco, Seattle, Syracuse, Texas, Upstate New York, and West Palm Beach. But we're definitely not limited to those locations. Contact us to find out how THEY improv can help you with birthday parties or private events by emailing us at info@THEYimprov.com or by calling 866-219-4386.